Head north on Hwy 101 to Cloverdale (approx. 94 mi. from the Golden Gate Bridge). Take the last Cloverdale exit reading: Hwy 128 West – Ft. Bragg/Mendocino. 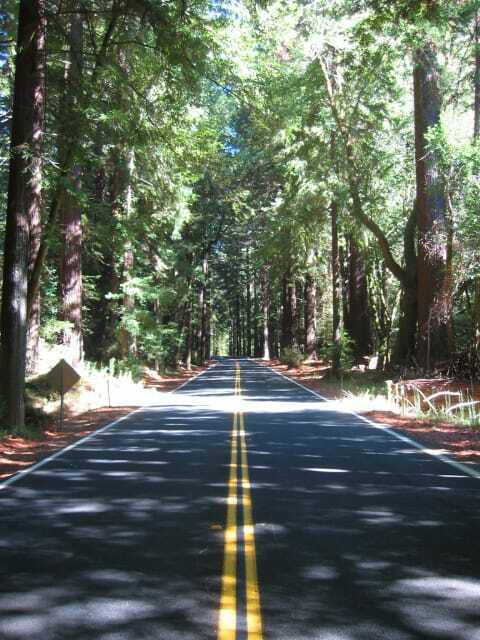 Turn west onto the curvy Hwy 128 (approx 68 more miles to Mendocino) traveling through the beautiful Anderson Valley ( Boonville is a good stop), and then the redwood forest, coming out to the coast along the Navarro River. Stay north (R) onto Hwy 1 driving 12 more miles toward Mendocino. Just after crossing Big River Bridge, turn left onto Main St in Mendocino. Sweetwater Inn is the bright yellow Victorian just 4 houses in on your right at 44840 Main St.